An advertising agency Clemenger BBDO from Melbourne built Australia's biggest game outside. 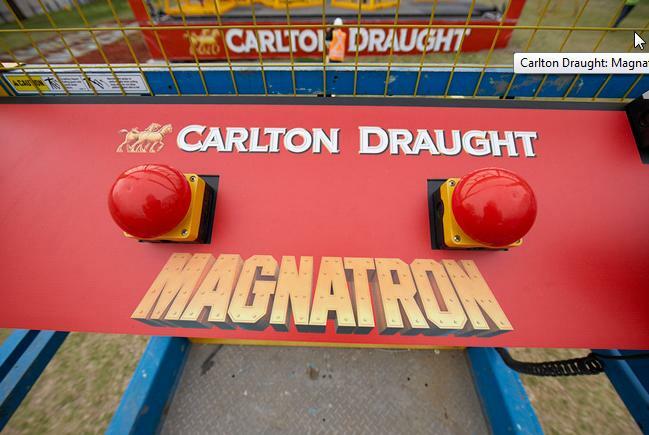 Constructed in front of the famous MCG stadium, Magnatron was a ten-story high 42-ton version of a skill tester arcade game. With a 30 metre high crane and a giant electromagnet. 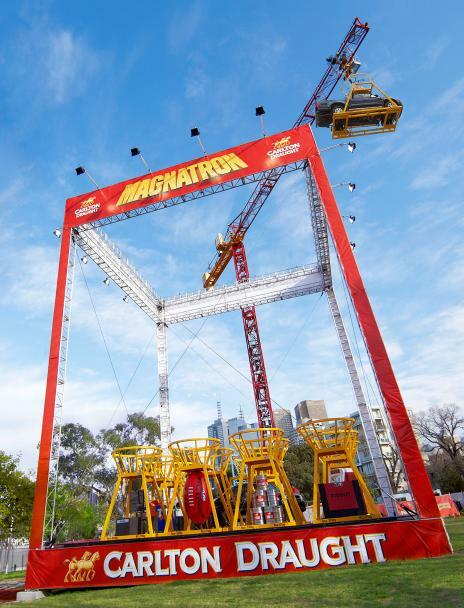 Over a $100,000 in prizes were contained within a 20 metre prize box in 14 custom-built prize cages. 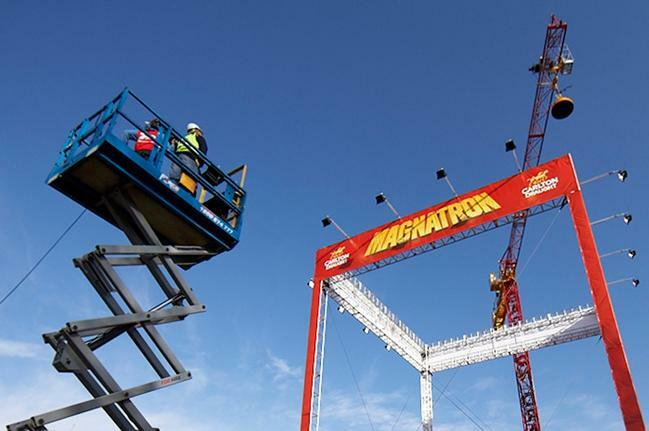 Winners were elevated 8 metres into the air in a scissor lift, where using controls identical to what you¹d find on a regular skill tester, they controlled the movement of the crane and triggered the decent of the magnet. 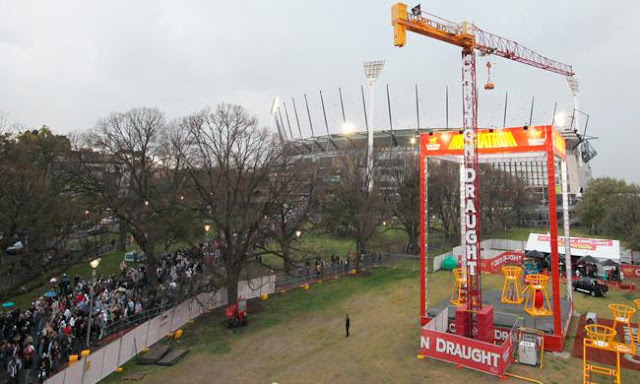 100,016 people who attended the Grand Final saw the spectacle of a 1.5 ton Toyota Hilux being lifted twenty-eight metres into the air. Not to mention the 3.4 million who saw it on live television.